Using Powershell and Excel to compare Microsoft Hotfixs on Servers and Virtual Machines. I have been working several Clustering and Hyper-V cases Recently. I have come to a point where I notice the Virtual Machines rarely have the same level of Microsoft Updates that the Cluster Node does. I finally had a few minutes to look at this issue, and I even made an Excel Spreadsheet to compare updates to other machines. Fortunately, When I got serious about making a Spread Sheet Script, I noticed there were some pretty good work already available. In fact, I found one that will likely serve to compare updates on all the Nodes, all the VMs and more. I am sure I can do cross checks using a Host as the standard, and a bunch of VM’S as the comparisons. So we are basically showing off two different ways of doing the same thing. The Gallery script vs. MyExcelHotfixCompare. These are different things for different reasons. But its good to have them in the same place, Because they both have their own purpose. So I made one up, and I found the other by accident! That is true. However, I discovered these both served different purposes. The First method came from Stane Monsik. What this count does, is aggregate the KB’s for every server in the survey. So your Final report answers the question “when you updated Server Group X with KB Group Summation(A-Z), did you do that same thing to all the other servers? This is what I started out to have answered! If the answer to this is no, then I always tell my customer to finish his updates right away. However, another question I was often asking, was not being answered by this script. The Questions was, When we know that there are X updates packages for Technology Y, how many of those updates did you apply to your server? Then Question #2, For X and Y, did you apply these updates to just the server which had problems? The answer to this question should be that you updated all the servers which contained technology Y, with every Update Package X. I found this question was often met with Guesstimates more than actual proof; this was an easy question to get a good guess on. It’s also an easy question to just accept the guess and move on. In today’s complex world, that is no longer acceptable. So I set out to easily answer this kind of question. This script will take “a list of Machines” and show you what updates the entire list has and does not have. Every KB gets added to the list, no matter what server it was found on. The Script, located at Gallery.Tech.net.Microsoft.Com , Goes to every server and pulls the list of hot fixes. Then it goes through the hot fix list and checks every computer, to see if the hot fix has been applied to the computer. Once you populate the script with edits on the names of computers, you run the PS1 file by right Clicking the file and choosing Run With Power Shell. The Script runs (longer the more computers you select), then generates an HTML file of your KB’s. There is an orderly chart of stars telling you which KB’s have stars for the machine, and which do not have stars. All in all, A very good method. But in order for me to answer the technology related questions, I needed to use something different. On the Excel Help article, called “Compare two lists and highlight matches and differences” I use Example 4 of that section. Example 4 runs a comparison from column one (the update list of a server (get-hotfix) against column two (the list of updates for the specific technology) . The comparison Colorizes the two list columns to highlight where the updates match or are unique. MY_ExcelGetHotfixCompare Is the name of the spread, and you just need to right click and save as to save the file as an XLSX file. This method will always work, as long as you can find a list of key updates, Microsoft says is relevant. This list below is not unabridged. This is just areas where I work most often. Below are some Example Technology Patch lists, that will power column two, on your spread sheets. Server 2012 and Exchange make you dig a little bit to get the actual KB list, but you get the Idea. The point is to get the list of “important hotfixes” and be able to use them to “audit” you current situation. So let’s get to the formulas and make a spread sheet! The Compare column Colorizes numbers in column A , that are also in column B. And Vice Versa. So there is only one caveat to this method. If the KB shows up twice in the same column, then the cell becomes colored, denoting that the patch has a match. But, This is an impossibility of the get-hot fix command. As long as your pasting in get-Hotfix results from only one machine per column, you will get a valid result. So the limitation of this, or any tool reviewing hot-fixes; don’t try to do two machines in one spread. Open Excel and put your Values for Get-Hotfix (just the KB) into column 1. Copy the Hot-fix numbers for the relevant Microsoft KB numbers from your articles like above, into Column 2. 6.Then you see where it says no format set? (above) This is where you choose your color. 7. Hit the Format button. Then choose the Fill tab. 8. Now see the Fill tab below Choose your color and hit Ok.
after the fact, and I found that if you select the columns, by Highlighting the columns entirely, you don’t have to deal with touching any formula aspect at all. Here the download again for My Excel HotfixCompare , You can also watch the video at the top and make your own spread. The next issue I tried to solve was the length of the column. It looks to me that this is the master formula, no matter how many KB s you have (=$A:$A,$B:$B). This is for column A and B.
I do believe you could replace these values with columns a and c or b and E or whatever. This can help you move columns for your ease of use and you list can be as long or short as you want. So this is all we have left to cover. Below these are the steps I use to get that list of KB numbers isolated from the rest of the information you find when you run the Get-Hotfix command. 6. once the KBs are highlighted Right click and choose copy. 7. Paste you KBs into notepad for transport to your work station. That’s It! I hope you have enjoyed this article. In closing I have the original link for the script in the initial discussion. I also have a method to update your Hyper-V Cluster automatically with a script. That can be pretty handy. 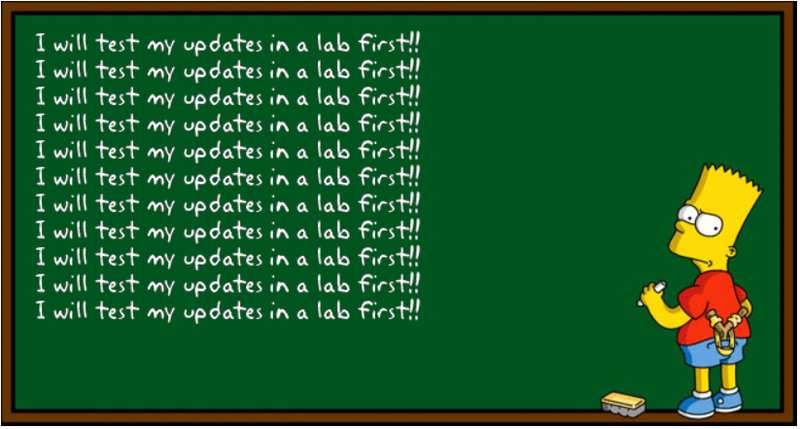 Good Morning Class, Today I just wanted to put into your hands a needed cheat sheet that puts together all of the update changes in SFB into one simple upgrade document for any set of SFB servers. So lets begin. If you have Standard SFB, Stop. You have completed all you need for your Deployment. If you have SFB Enterprise, Follow the Steps Below. Front End Servers Patched First. Patch One Pool At a time, One Server at a time. The Steps are the same for this group of servers as well. However, they need to be completed as a separate group. So begin with the same steps and when complete, Make sure you have restated your servers if needed.Edge Servers should be done together as well. Once you have completed the final step, you can then run the command Start-CSPOOL, and that should cause the SFB Pool to verify the pool fabric is happy and all will e started up again properly. 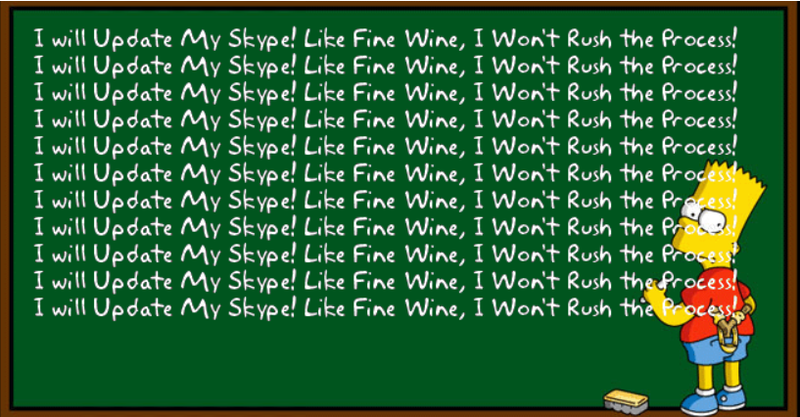 Thus having done this, you will have successfully updated you Skype for Business Environment. I hope this makes it a little easier to carry out Your updates. 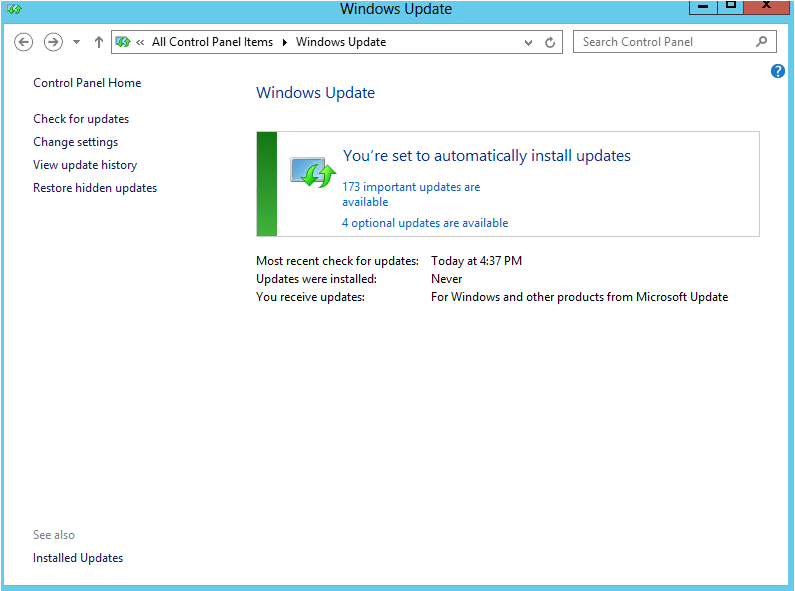 Windows Update Fails Lead you to Troubleshoot around update KB2919355 or other failed 2012 updates. Hello everyone. I had a strange series of events lead me to this solution. I had three installs of windows, done on three different media, with a different version of Server 2012 on every install. This includes all versions of Server 2012 and 2012 R2. The minimum media was RTM. In every single install, Server updates failed, no matter what I did. 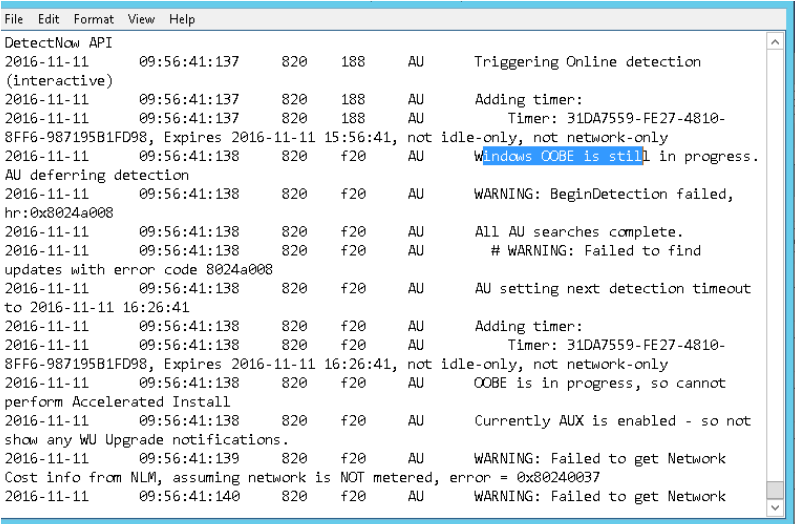 There is a variance of things seen in windowsupdate.log. However, you are ultimately going to find yourself looking at updates to remove, install or otherwise. If updates cannot be installed, manually, or otherwise, why don’t you go ahead and try this first. If it doesn’t work, go on with your troubleshooting. I think you will be surprised. Now close the policy and restart the MS update service. Then go back to the Windows Update center, and you should notice that the screen has changed. If not, then go ahead and click the check for updates button. In my case, There was a change that said MS update needs to update itself. It automatically send a file down and repaired itself. Then updates worked normally after that!! I wanted to share this one, as it looks to me that this could be a very large call driver for support centers. I hope this fix finds you and I hope you fixed your customer in a quick timeframe. As Proof I have had a lot of windows update failures late, I present the weirdest one I have seen. It is called Audit Mode Failures to update. Take a look at that one, if this article does not fix you up. It does have some basic troubleshooting steps in it. It’s a lovely night in late 2016, and I am in no shortage of topics to write articles about. I think I’ll choose an issue which actually got me for several hours before I could put together what it was. Lets start with the customer. Mr. Customer calls in with Windows Server Updates failing. So I know that he had manually updated the server, so the updates done were not from Windows Updates. This is a case where Microsoft Updates never worked. This is a famed situation where you can claim that the customer is not supported if the feature never worked. 2. Look for any error or use the link above to find any errors. 4. 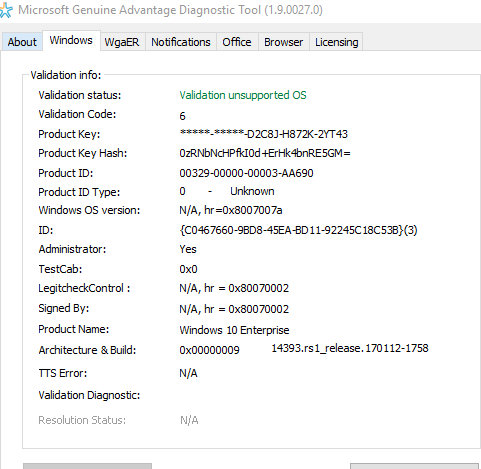 Check to make sure there is not WSUS server locally. Even if there is not, check the registry to make sure WSUS IP and port is not listed. Windows OOBE is still in progress. So somewhere in the middle of the bullets above, I did think of taking the server out of the OOBE mode. There was no setup going on and it seemed the right thing to do. Surprisingly, after I set the registry key and rebooted, I found the error persisted. So in the end, I really did find this solution on a Microsoft blog. Why am I reposting this story? Because you have to know what Audit Mode is, to find the article! The solutions are posed under audit mode. My article is on the internet as a Updates failed article. I just hope it finds its way into the hand of someone who fell into audit mode, without realizing it. So I have to be honest and tell you the customer would not let me apply the solution. he decided to reinstall!!! That’s why its even more important to make sure the solution for this gets out. 6. Audit mode will be off and will ask for language selection etc. So now realize, you may need to create the new Administrator user name, so please be aware of that. If you get a message that says OOBE\boot and Audit\Boot, pick OOBE every time! If Windows Update will not work, look in the windows Update log, to see if you have the OOBE issue. It will not show up anywhere else! I hope this has been helpful and educational!